If you’re looking for a nice, gentle and elegant fountain pen, this is it! 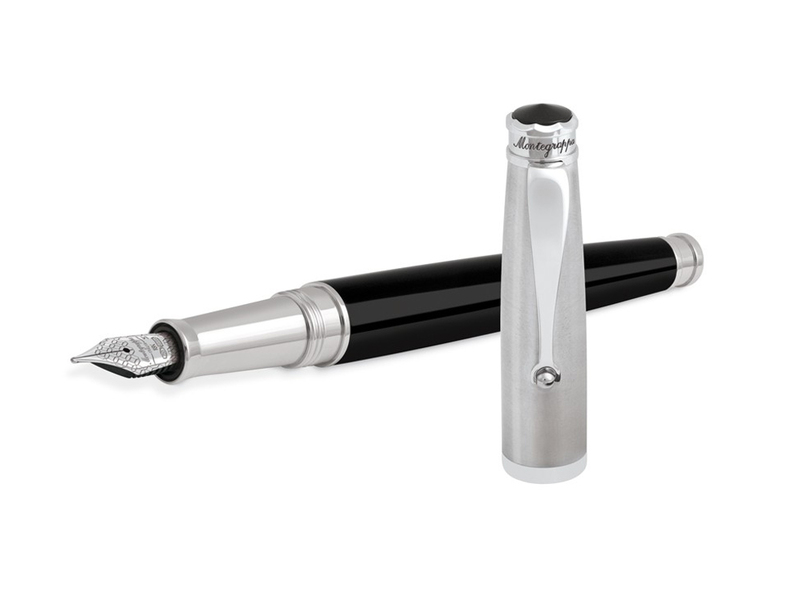 Montegrappa pens has managed to create different series of writing instruments, with different styles and materials. Celluloid, resin, and now sterling silver! 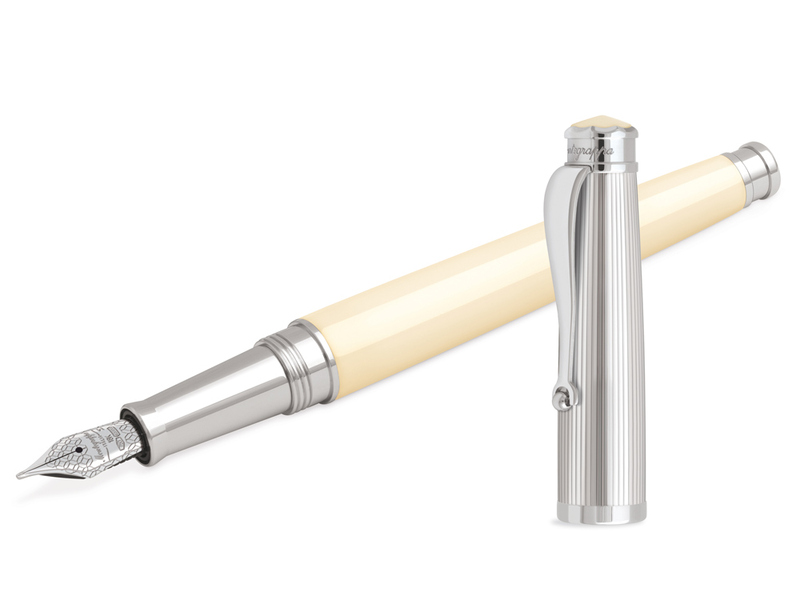 Montegrappa Memoria Pens are a very particular collection with its own proper style. Very different to the visually impressive celluloid lines, Memoria pens present a soft appearance, a dose of calm and peace in our crazy modern life. 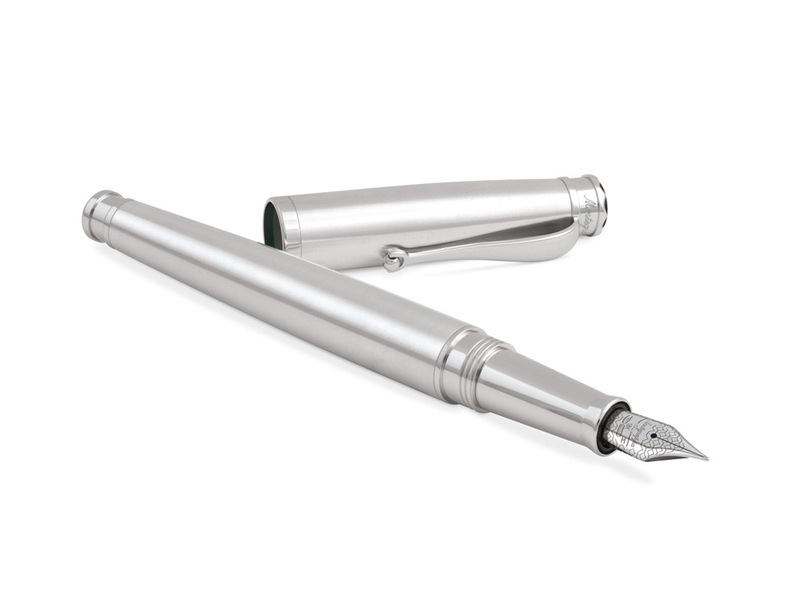 Montegrappa Memoria pens are designed with a traditional and never obsolete elegance. These pens can be found in the pure sterling silver version or with coloured resin barrels. These models include ivory resin barrel, or black resin barrel both with sterling silver caps and trims. The nib on these pens is made of rhodium treated 18K gold. The top of the cap resembles a crown with “Montegrappa” engraved on it and a black or ivory colored cabochon. All three models include a variation in pinstripe Sterling Silver. These pens are great for people with a fine taste for subtle beauty, who respect simple lines and enjoy aesthetics as a way to disconnect from everyday problems. Montegrappa Memoria pens are now available at Iguana Sell, a great gift for someone you care about, or simply a treat to give yourself! If you’re interested please contact us at info@iguanasell.com or visit our website. Namiki-Pilot Custom Demonstrator PensNew Aurora Nero-Perla Optima Fountain Pen! !